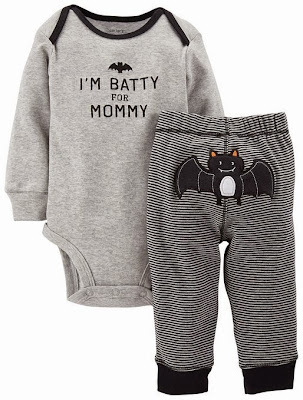 Carters' "I'm Batty for Mommy" Halloween outfit comes in sizes Newborn through 24 months. I love that there's a bat across the baby's buns! It's also available on eBay.